Another Monday has come to an end. I am so tired already. Is it Friday yet? And, I am SOOO OVER this cold weather!!! I’ve been over it since it started but now, I just can’t take it any more. I need the sun. I need my 70+ temp. I love the heat and sun and that is just what I need now!!!! Breakfast was a Myoplex shake. They are great. Lunch was the M-F norm. Morningstar Farms Chicken Patty with American cheese and lettuce, 11 pretzel crisps and 1 chips deluxe rainbow cookies. I also had the last Diet Coke. What a bummer on the DC. I didn’t have anything for afternoon snack even though I was really hungry. For dinner I made Chicken Burger Sliders, fries and peas. I love this meal. 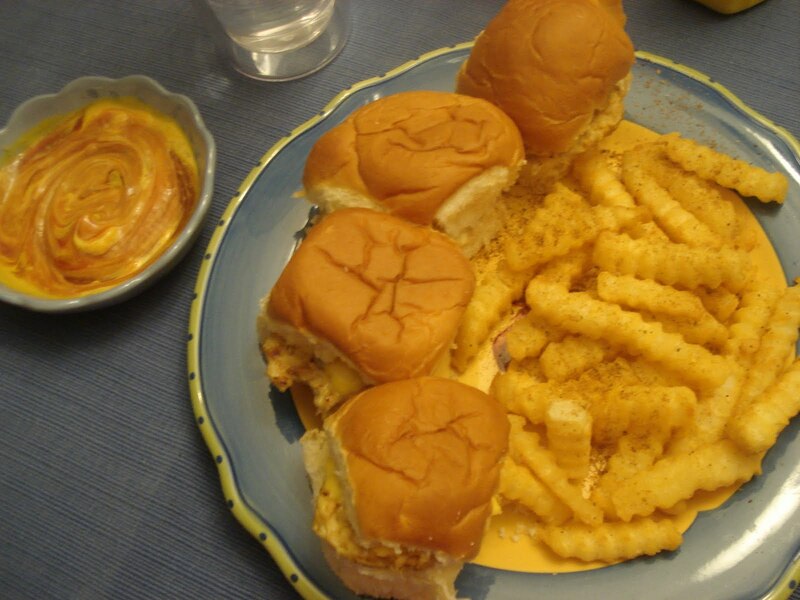 I serve the chicken burgers on Hawaiian Rolls, which are truly a gift. Hawaiian Rolls are heavenly. The ones we had tonight seemed extra fresh as well. I have my chicken burgers also with American Cheese and I did them into a combo of ketchup, yellow and brown mustard and mayo. Also had two pickles with them. Overall, it was a great meal. 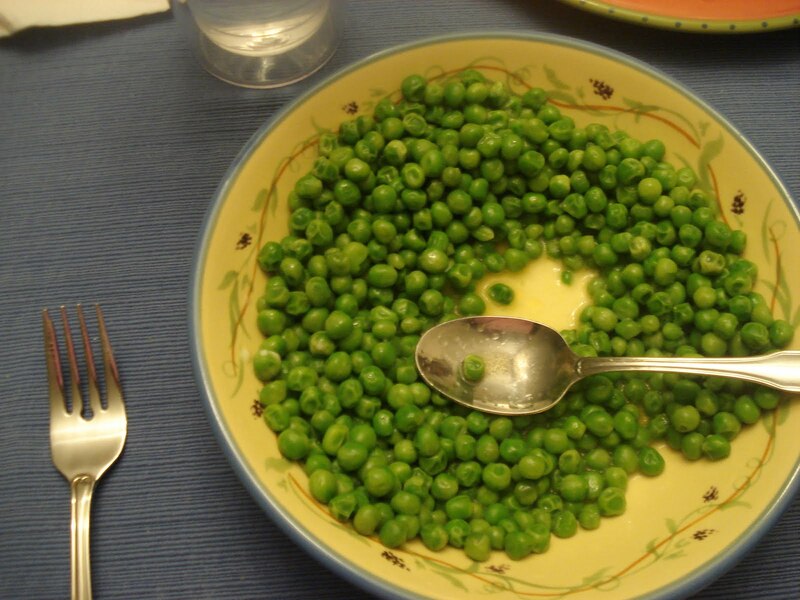 I love the peas as well. Yummy and filling. I had 4 chicken burgers and then 2 additional rolls. Dessert was nothing but a ton of water because I am so so so thirsty. Jim Leavitt, from USF, hired a lawyer to fight his firing that occurred last Friday. I hope Leavitt wins because he is the best coach for USF. He started that program from the ground and we don’t want anyone but him! GO BULLS!